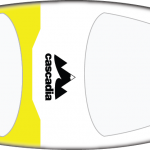 AIRHEAD SKURFER is a revolutionary inflatable / bodyboard hybrid. SKURFER is engineered for stability while towing (10 mph maximum), so your child will feel very secure. SKURFER is the ultimate confidence builder, taking the tears, fear and frustration out of teaching new/young boarders and replacing it with safety and fun! Your child will enjoy immediate success on SKURFER. No fighting with diving wakeboards, boat wakes or ropes! Children board the stable SKURFER right from the swim step or stern of your boat, no swimming required. 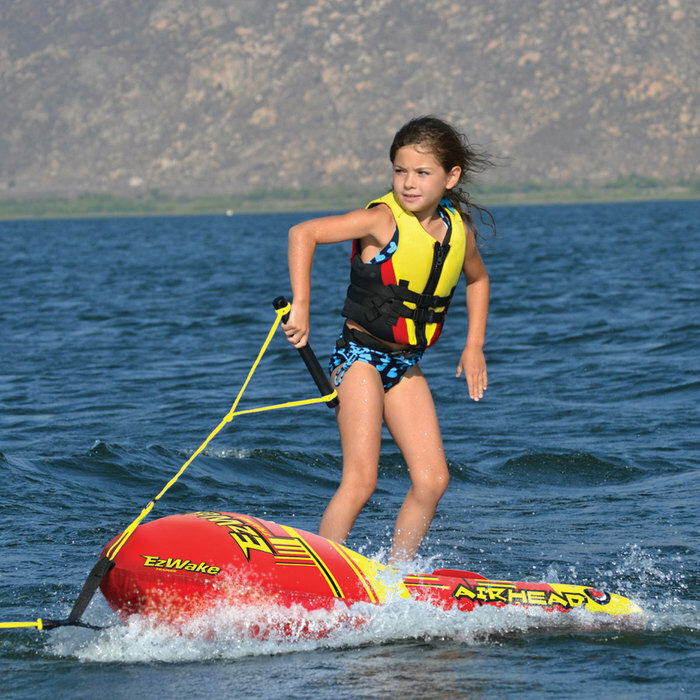 While your children have the time of their lives on SKURFER, they’ll actually be learning to be comfortable with the speed and sensation of watersports. This awesome trainer teaches basic wakeboarding, kneeboarding, wakesurfing and wakeskating fundamentals including proper stance, handle position, balance and weight transfer for turning. They’ll be doing tricks in no time! The SKURFER body board is easily removable for more advanced body boarding behind the boat, or take it to the beach and ride the waves! Patents pending.